For 2018, one of my resolutions was to participate in more speaking events so that I'd be able to share my experiences with a wider audience. I'm happy to announce that I'm conquering my resolution early in the year, by joining the Association of Wedding Professionals of Greater Washington, DC at their January dinner meeting. This panel will focus on multicultural and fusion weddings, a market that we're happy to have a lot of experience with here at FBY. I'd love it if you were able to join me tomorrow, January 23, from 6-9 PM. The event will take place at SOHO DC in Adams Morgan and is $45 for member and $55 for non-members. Give back this Prom & Wedding season to our friends at Hitched's 8th Annual "Princess for a Night" Dress Donation Drive. Favored by Yodit Events loves to work with vendors who share our passion for giving back so we invite you to stop by the Hitched Salon to donate your gently worn formal dresses and bridesmaid dresses. 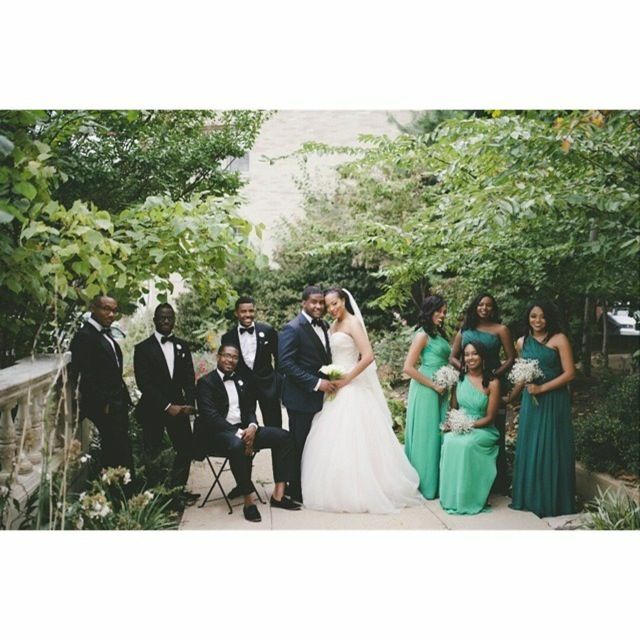 Hitched is conveniently located in Georgetown at 1523 Wisconsin Ave NW, Washington, DC 20007. Make sure to tell them we sent you and tag us to your post on social media so we can repost! 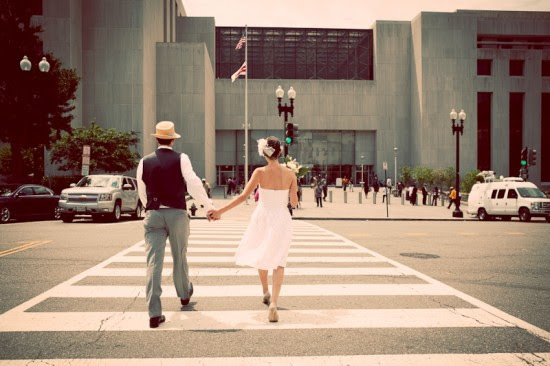 You’re probably bursting with excitement over your upcoming wedding – and want to shout your plans from the rooftops! But take our advice – hold back. Of course, it’s okay to share some of your wedding details with your nearest and dearest but there should be an element of surprise on your big day, especially when it comes to these things. The Dress and Attire We’re telling you now: Everyone will want to see a picture of what you’re planning on wearing. But we recommend keeping your attire a secret from the majority of your guests until the big day. You want the gasps of delight when you first walk down the aisle to be genuine, and you never know – some Debbie Downer might say something negative about your ensemble before the big day that may make you doubt your decision. Hair and Makeup Choices “How are you wearing your hair?” is a common question, and like your dress, there’s no need to tell everyone about your intended hairstyle or makeup choices. Everyone will likely have an opinion about how you should look on your wedding day – but in the end, it’s up to you (with the help of your hair stylist and makeup artist) to decide. Simply say “I haven’t figured it out yet” to change the subject. First Dance Song Your first dance song is a very personal choice, and not all of your guests will “get it.” But that doesn’t matter. Even if you’re picking a more traditional song, there’s no need to share it in advance with everyone. You may pick up some unwanted comments or even criticism (“Oh really? That’s a weird choice.”) – and who needs that? Guest List Details Try to avoid divulging too much information about your wedding guest list to others. You may get a lot of questions about why certain people were or weren’t invited, and it can turn into a sticky situation. Of course, your close family members should be aware of the invite list, but there’s no need to take it too far beyond that. And related to that, it’s best to keep the reception seating arrangements private as well! The Favors Think of your wedding favors as a gift to your guests – and most of the time, you don’t tell people about gifts (whether it’s birthday, holiday, whatever) in advance. So any favors or giveaways should be kept private, except for anyone who is helping to assemble or purchase your favors. The Surprises Whether you’re doing a fun sparkler sendoff, having a photobooth, or you and your dad are performing a wacky dance together, don’t ruin your wedding-day surprises by spilling the beans! Even if you just tell one person (and swear them to secrecy), you run the risk of your entire guest list finding out about that thing that’s going to make your wedding totally unique. So keep any surprise wedding elements to yourself (and your future spouse and wedding planner, of course!). We Want To End AIDS on #GivingTuesday - Join us! Today, on #GivingTuesday, we are asking you to help us continue this great work, by joining Artists For Charity to launch the holiday season. #GivingTuesday is a national day of giving that follows on the heels of Black Friday and Cyber Monday. Artists for Charity (AFC) is a 501(c)(3) non-profit organization. We operate a Children’s Home for HIV-positive double orphans, a support program for HIV positive children in the community in Ethiopia, and our ArtHeals program uplifting the children’s wings in local hospitals and clinics. Help us get the word out on social media, using @Artists4Charity and the hashtag #GivingTuesday. Tell a friend about Artists For Charity's mission http://www.artistsforcharity.org/about/mission. Join us today on #GivingTuesday. Once-in-a-Lifetime Wedding Dresses on Sale! Thats right ladies, you can get that dream dress for just a fraction of the price! Tradesy.com, an online consignment store is having is having a huge sale on wedding gowns. Shop Editor's Picks and save on unique wedding dresses. Selection includes designer names like Oscar De La Renta, Vera Wang, and Jenny Packham. Dont let this deal pass you by! Six Ways to Plan Your Wedding from Your Phone! Back in the day, wedding planning meant cutting images from magazines, lugging giant, overstuffed binders from appointment to appointment, and handwriting guest lists and seating charts. Fortunately, those days are far behind us, and truthfully, the only thing you need to plan your wedding is right in your pocket or purse – your phone! Check out six ways you can use your mobile device to complete wedding-related tasks! Start a Checklist The first step of wedding planning is figuring out what you actually have to do. It may seem overwhelming at first, but a streamlined checklist that’s accessible from your phone can help you take things step-by-step. That way, as soon as you accomplish a wedding-related task, whether at home or while out and about, you can check it off your list. And there’s really no feeling more satisfying than that, right? Manage Your Budget Figuring out your budget might not be the most fun part of wedding planning, but it sure is important! The Budget Tool on the (free!) WeddingWire app not only divides your total budget up for you so you’ll know how much you can spend on each vendor, but also helps track your spending and set up payment schedules. And if you pay a vendor or make a wedding-related purchase while you’re on the go, you can input the payment into your budget tool right from your phone so you can keep your budget on track no matter where you are. Find Your Vendors Selecting the people who will help put your wedding together is a crucial part of the planning process. Fortunately, the WedTeam app allows you to search for, compare, and contact wedding vendors no matter where you are. Update Your Guest List It happens to all of us. You’re running errands when you run into a friend, and immediately think: “Oh shoot, I totally need to invite her to the wedding!” Before you forget, hop on the WeddingWire app to add your pal to your Guest List. You can also add guests’ addresses, RSVP info, and more while on the go. Get Instant Feedback Yup, it’s true - you can crowdsource your wedding style decisions! If you’re having trouble picking between two different dress/bouquet/invitation styles, snap photos of each, upload them to the free WedStyle app, and get instant feedback from the wedding community to help you make the right choice. Share Info With Your Guests There’s a lot of information that your guests need to keep straight – the date and time of your wedding, where it is, how to get there, where you’re registered, and all the rest. Once you create your free wedding website on WeddingWire, your guests can download the free WedSocial app so they can access your wedding details on their phones. And, they can easily share their photos from your big day with you! DaVinci Florist specialize in creating floral and event designs for weddings, Bar and Bat Mitzvah’s, corporate events, and any other event that requires unique and beautiful décor. For more than a decade, they have been one of the premiere floral and event design companies in the Washington D.C area. Their services aren't just limited to flowers, they also provide lighting and furniture rental. Our favored team has worked with the company on a number of events. Check out some pictures below! Fathers Day Brunch and Gift Ideas from Co Co. Sala! Fathers Day is this Sunday and Co Co. Sala has got you covered! Check out their brunch menu and gift selections below! RESERVE FATHER'S DAY BRUNCH & ORDER DAD'S CHOCOLATE TODAY! Indulge in our multi-course brunch with delectable dishes such as ourbreakfast flatbread, crispy creole crabcakes, and grown-up bacon grilled cheese with truffle-scented brioche, to name a few. Experience Chef Tiptur's Prix Fixe Menu for $34/person. Prix Fixe includes a brunch cocktail and a chocolate surprise for Dad! A la Carte Brunch Menu will also be served on Father's Day. Order your Father's Day Chocolate online by June 9th for shipping orders! Visit Union Market or the F Street Boutique for an array of chocolates. Items are subject to availability and seasonal items are limited in quantities. Please note that they only ship Mondays-Wednesdays to protect product integrity. Is It a Bad Idea to start a Business with my spouse? STARTING A BUSINESS COMES WITH A LOT OF RISKS. BUT WHEN YOU STAND TO LOSE NOT ONLY YOUR LIVELIHOOD BUT YOUR MARRIAGE AND FAMILY THE STAKES BECOME MUCH HIGHER. LEADERSHIP COACH LOLLY DASKAL IS HERE TO HELP YOU NAVIGATE WHAT COULD BE THE BEST OR WORST DECISION OF YOUR LIFE. "For better or worse, for richer or poorer," take on a whole new meaning when you consider all you have to gain and lose by starting a business with your spouse. For the answer to this week's classic and potentially difficult reader question, we turned to leadership coach Lolly Daskal. Hi, What are some considerations for starting a business with your spouse? We know there are lots of successful couples with successful businesses. I'm guessing there are many that failed, along with the marriage, that we never hear about. I once started a successful business with my best friend, which led to us splitting up after two years, never to speak to each other again. I don't want the same thing to happen with my wife. We have a picture-perfect family: a great relationship and two kids--I feel there's a lot at stake if the business doesn't work out. Any advice? Everything in life is a gamble, although you’re correct that in this situation the stakes are quite high. The most important consideration at the outset is making sure you’re perfectly clear on your vision, values, roles, and purpose. Is your marriage more important than your business? Will you continue to work on your personal relationship? If you were not married, would you still want to go into business with this person? If both of you can honestly answer “yes” to all four questions, you’re ready to work together on the next steps. Lolly Daskal is a leadership development and CEO coach and consultant and founder of Lead From Within. Follow@LollyDaskal. Creating a solid partnership in business involves many of the same areas as creating a solid marriage, just within a different context. Create shared vision and values. Creating a shared vision based on shared values allows you to work together in a mutually agreed direction that minimizes conflict. When things go wrong--and they will--you’ll have a good foundation to keep you grounded. Position strengths and skills. Know your personality types and position yourselves to take advantage of your strengths. Having an idea of what each of you is good at to maximize skill sets and avoid stepping on each others toes. Consider taking a personality assessment to figure out your individual strengths and how you can best work together. Set roles and responsibilities. Write job descriptions for yourselves and set clear expectations about who will take on which tasks for the business. Be mindful of boundaries. Focus on your own responsibilities, and let your spouse handle theirs without interference. Of course you can collaborate, but in most situations the best thing you can do is stay out of each other’s way. Refrain from telling your spouse how to do what they do best. Let each other have some room and flexibility to work independently. Keep communication open. Open and honest communication keeps minor issues from developing into major problems. Problems must be communicated, recognized, and worked through in a mutually agreed way. Handle conflict with care. How you handle conflict is critically important to any business, but even more so when the partners are in a personal relationship. Put a time limit on disagreements and arguments, speak about them, deal with them, and move on. Reciprocate, respect, and reverence. Respect is another element that’s essential to both business and marriage. Cultivate a mindset that is appreciative of your spouse's talents, gifts, and insights, and then convey that respect by listening, by sharing, by appreciating. Avoid second-guessing and micromanagement. The good news: working together allows you to achieve a higher level of trust, which in turn will strengthen your relationship. As it’s said, to be trusted is a greater compliment than being loved. Develop routines to keep your relationship and business separate. Keep a good balance by creating strategies for the transitions between work and home life. Make rituals to help you stay connected as a couple no matter what’s going on at work. As you spend more time with each other, business conversations tend to move to the dinner table and then into the bedroom. It is important to make time for your relationship. Show appreciation and gratitude. Make a point to thank each other for a job well done, and be kind about how you approach constructive criticism. In a close relationship, it’s easy to forget these basic rules of business. Don’t take your partner or their contributions for granted. At the end of the day, you are partners working together for something meaningful and purposeful. Remember you are in this together in business and in marriage. Every marriage is already a partnership, one in which you work together, love together, create together, and support each other. With the right alignment and planning, and a commitment to making it work, sharing a business can be a meaningful extension of that partnership.